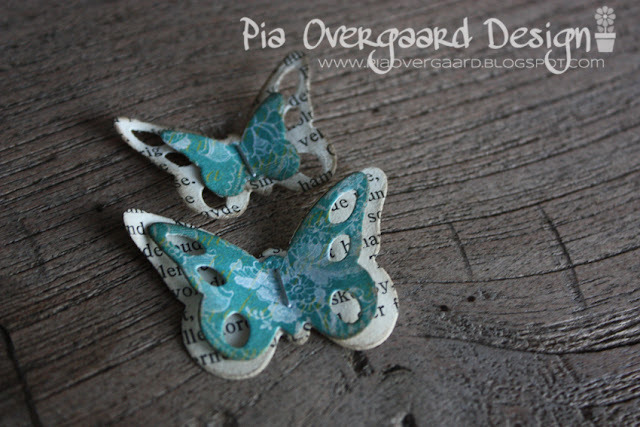 Another close up on the butterflies - the picture is taken on my rustic garden table (salvaged wood) - it almost look like driftwood, huh? And here is the card for today! Thanks so much for stopping by today - I enjoy reading your comments! Super lækre sommer fugle : ) og kortet er jeg vild med. 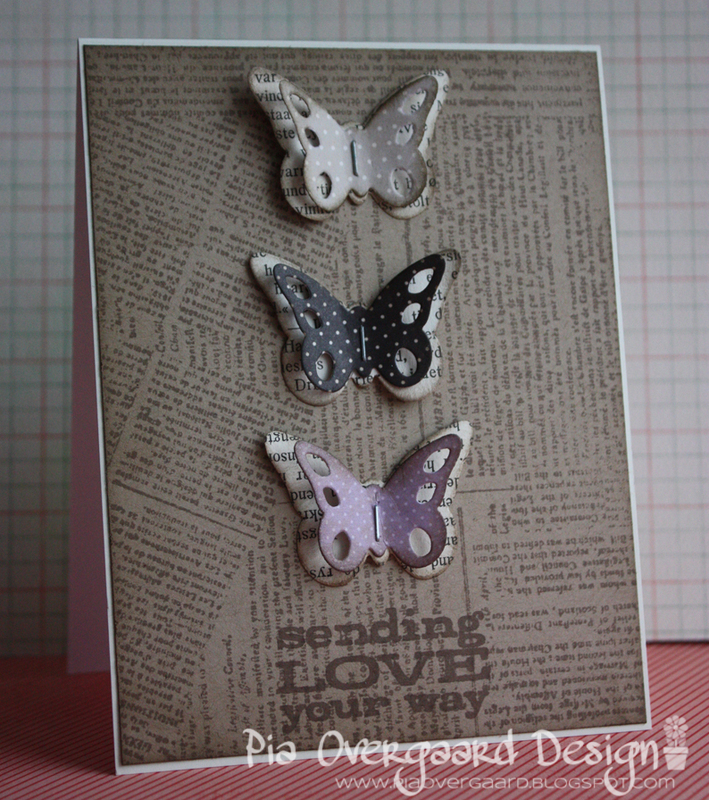 love your idea of doing a butterfly card every day - very lovely card! can't wait to see the next one!! Åh hvor er de sommerfugle fine. Og kortet skam også. More lovely cards! 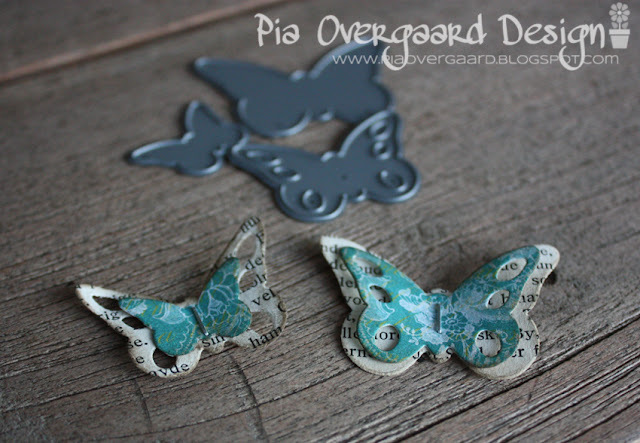 And you used your attacher :) Thanks for coming by my blog. Have a good one. This is beautiful! and I love the butterfly die, I am off to check it out!